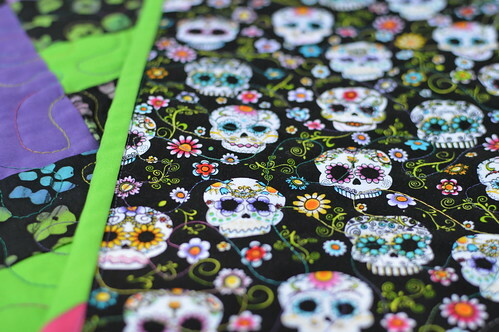 Nothing screams baby quilt like sugar skulls, right? Well, ok, it isn’t everyone’s style, but I personally love to get away from pastels and teddy bears for something one-of-a-kind and full of personality. 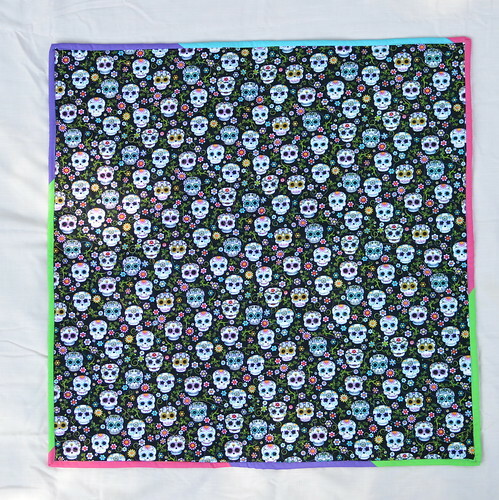 Marseille made this sugar skull baby quilt and I fell in love with the combination of sugar skulls, bright nearly neon solids, and batik prints. The bold pattern on the front creates visual and graphic interest without being too crazy. 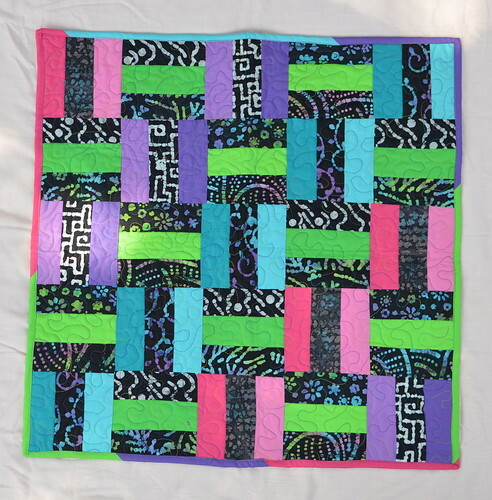 The pieced top was made from two sets of 2.5″ strips (sold as ‘jelly rolls’ at quilt shops), and that the whole thing was an experiment. There were challenges–the two rolls had slightly different strip widths, which Marseille didn’t realize until too late. 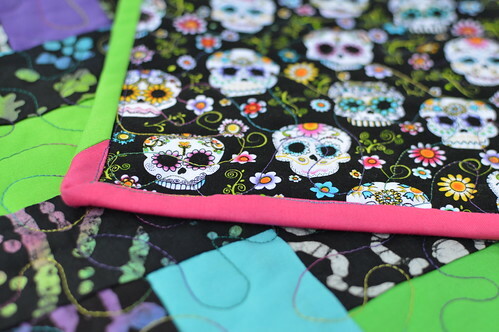 Her use of a rainbow quilting thread takes this sugar skull baby quilt to the next level. 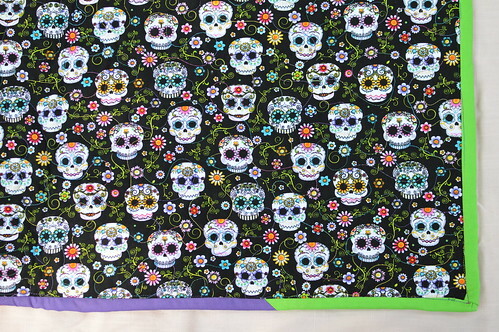 The sugar skull backing makes this a truly distinctive piece. 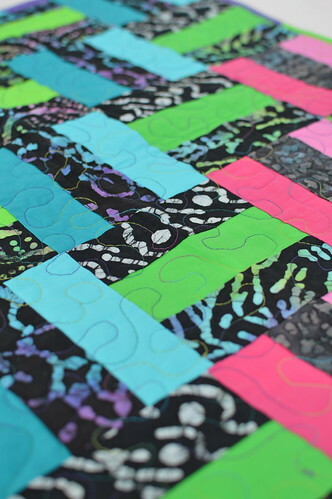 Mostly, Marseille admits this was a quick ‘skill-builder’ type quilt, both as a learning/practice exercise for her, and for a potential baby gift. This corner is not perfect, but neither is parenthood. 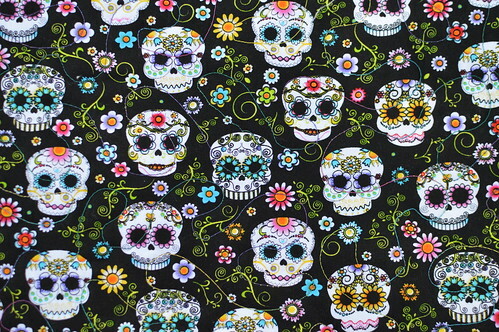 This entry was posted in Sewing | Embroidery and tagged Marseille. 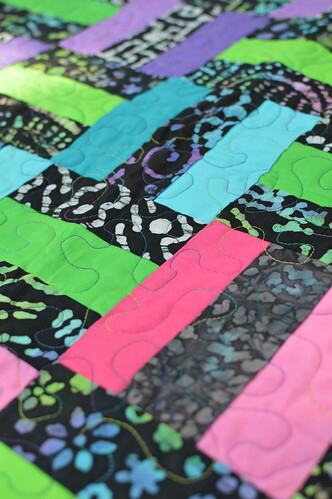 Absolutely love this quilt!! Beautiful colour combination.